Alcatel-Lucent Enterprise values all of its business partners, regardless of size. We realize that enterprises (end customers) also come in all sizes and often struggle to find technology to meet their needs at a reasonable price. As a vendor, our solutions are carefully thought out in accordance with market trends, meaning that no defiance is forgotten or left behind. Because of this approach, we continue to innovate. And today we welcome the new Alcatel-Lucent OmniSwitch 2220! Our latest technology innovation integrates advanced management features, such as Unified communication and high-speed desktop connectivity. For a 10 to 50 user business, the OmniSwitch 2220 (OS 2220) is the most recommended, because it is able to distribute an enterprise quality switch with an optimized PoE budget. Our different network security models, such as 8, 24 and 48-port switches, ensure a type of security that works perfectly with the PoE design – respectively at 75W, 192W and 394W. Access control is sustained by RADIUS client server and 802.1X port-based RADIUS usage guidelines. As security is highly conspicuous, broadcast storm recovery is Alcatel-Lucent Enterprise’s little gift. A few parameters need to be set up as main functions, such as configuration, management and monitoring. All three are simplified via the easy to use web Interface. The OS 2220 is designed to be easy to deploy and used by SMBs which usually lack IT staff. Golden coins are less likely to be spent on IT infrastructure. Nevertheless, it is probably the value that will enhance your daily operations. SMBs actually have, as the term suggests, small or medium estimated expenses, thus tend to neglect important components of the well-being of their company, because they most often lack funds. 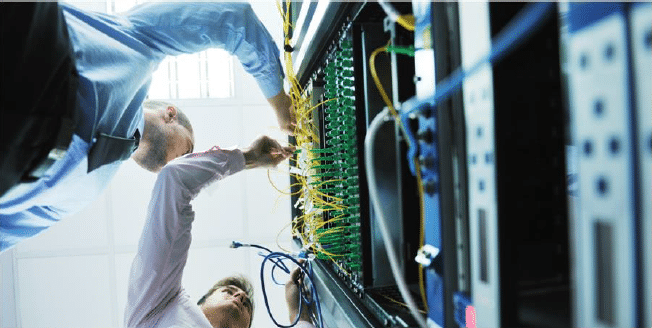 These switches are a lower-priced alternative to managed switches for wired connectivity while maintaining performance, Quality of Service (QoS) and scalability using a simplified web management interface. The Alcatel-Lucent OmniSwitch 2220 family is embedded with the latest technology innovations and offers maximum investment protection. Ultimately, OS2220 assists you in the best way possible by answering to all your needs.